West Glacier is an unincorporated community and census-designated place (CDP) in eastern Flathead County, Montana, United States. On the 22nd (Mon), stroll around Waterton-Glacier International Peace Park. 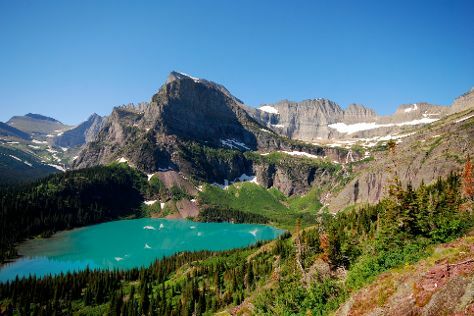 On your second day here, take in the dramatic natural features at Jackson Glacier Overlook, then explore and take pictures at Going-to-the-Sun Road, and then stroll through Grinnell Glacier. To find reviews, photos, where to stay, and tourist information, read our West Glacier travel route planner. Everett to West Glacier is an approximately 5-hour flight. You can also drive. You'll lose 1 hour traveling from Everett to West Glacier due to the time zone difference. When traveling from Everett in July, plan for a bit warmer days and little chillier nights in West Glacier: temperatures range from 85°F by day to 49°F at night. Finish your sightseeing early on the 23rd (Tue) so you can travel to Yellowstone National Park. On the 25th (Thu), take in the natural beauty of Old Faithful, hike along Artist Point, and then explore the stunning scenery at Grand Canyon of the Yellowstone. 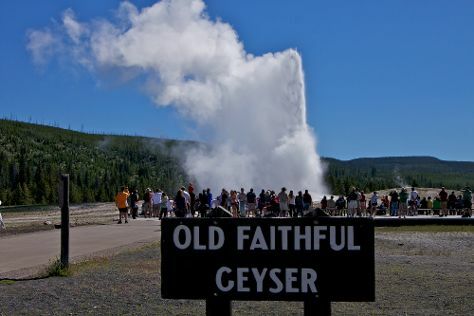 Get ready for a full day of sightseeing on the next day: take in the dramatic natural features at Lower Geyser Basin, then witness a stunning natural landmark at Midway Geyser Basin, and then witness a stunning natural landmark at Grand Prismatic Spring. For photos, other places to visit, more things to do, and other tourist information, read Yellowstone National Park online travel route planner . You can do a combination of flight and car from West Glacier to Yellowstone National Park in 7 hours. Alternatively, you can drive; or do a combination of train, bus, shuttle, and car. Prepare for a bit cooler weather when traveling from West Glacier in July: high temperatures in Yellowstone National Park hover around 73°F and lows are around 39°F. Finish your sightseeing early on the 27th (Sat) to allow enough time to travel to Three Forks. Three Forks is a city in Gallatin County, Montana, United States and is located within the watershed valley system of both the Missouri and Mississippi rivers drainage basins — and is historically considered the birthplace or start of the Missouri River. You've now added Lewis & Clark Caverns State Park to your itinerary. Kick off your visit on the 27th (Sat): immerse yourself in nature at Missouri Headwaters State Park. On your second day here, get engrossed in the history at Headwaters Heritage Museum, immerse yourself in nature at Madison Buffalo Jump State Park, and then admire the majestic nature at Lewis & Clark Caverns State Park. For other places to visit, traveler tips, where to stay, and tourist information, use the Three Forks trip maker website . Use the Route module to find suitable travel options from Yellowstone National Park to Three Forks. Traveling from Yellowstone National Park in July, things will get a bit warmer in Three Forks: highs are around 86°F and lows about 50°F. Finish your sightseeing early on the 29th (Mon) so you can travel back home.